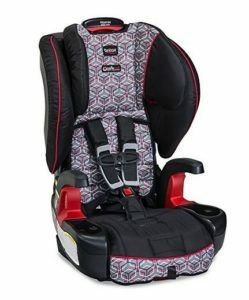 Keep your child safe during your car trips with the Britax Frontier ClickTight Booster Car Seat. This seat is designed to take good care of your beloved little one. This is a seat that your kid can use over and over since it can be adjusted to a growing kid. 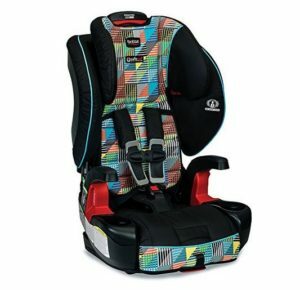 Get a safety seat that outgrows your kid – the Frontier ClickTight from Britax! The car seat can accommodate a kid as young as 2 years weighing 25 to 85 pounds when used as a harnessed seat. If you plan to use it as a booster seat, it can accommodate 40-180 pounds. It features True Side Impact Protection as well as Versa-Tether that acts to protect your toddler. Let’s not pray that this could be necessary, but nowadays, more and more people get arrested for drunk driving. If you and your tot happen to get into an accident, the True Side Impact Protection feature will keep your kid out of immediate side impact danger. The side panels are deep side walls and the head support work hand in hand to distribute the forces of the unexpected impact. They also help in keeping the head, neck, and spine is aligned to prevent injury. The structure of the Combination Booster seat also helps shield the child from vehicle intrusion. Versa-Tether System – This is a webbing that fastens the straps at two different points to decrease any forward movements of the seat during a sudden stop. This is a patented design for the Britax Frontier car seats. Harness Ultra Guard System (HUGS) – The base of the seat absorbs energy as well as the foam lining so that in the event of an impact, the forces are absorbed, and sudden jerky movements are minimized. SecureGuard – it can be used with the SecureGuard clip to hold the lap portion of the belt in place. Sometimes, the kid slides under the lap belt so the optional SecureGuard clip will be a great help. The five-point harness system is easily adjustable with just a couple of levers. You do not have to go over the whole process of removing the seat then putting it back again just to adjust the straps. With the industry-leading technology Britax uses in their car seats, the harness system is easily accessed. The harness system has 10 harness-height positions with three buckle positions. If your kid grows, this baby accessory grows with your kid. There are adjust levers that you can efficiently use. A quick-adjust lever can alter the head restraint and shoulder straps. There is also a lever that adjusts the harness system from the front. This safety seat takes about 10 minutes to install in your car. You can watch installation videos so you might learn some tips on how you should do the installation. This is super comfortable for a child with the much-needed support and protection a parent looks out for.